Create a frosted look that resembles glass tumbled smooth by the waves. Place your vase(s) on newspaper or a tarp to catch any overspray. 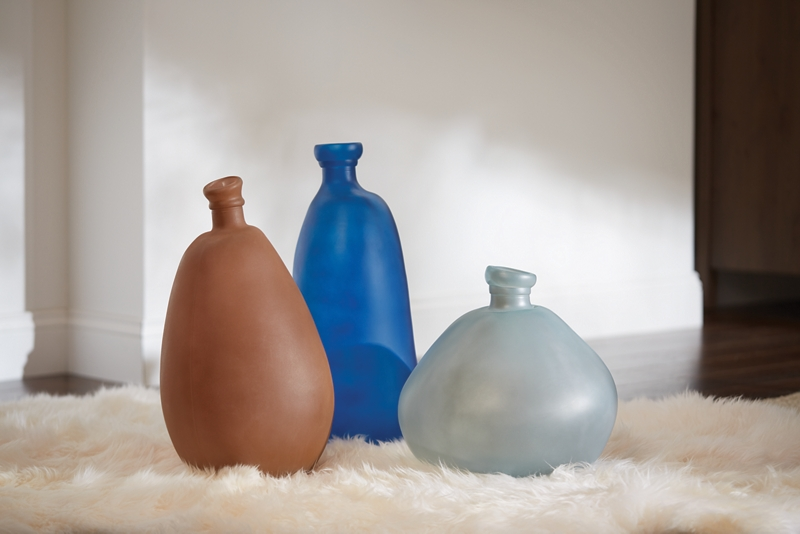 Apply even coats of Krylon® Sea Glass Finish in CornFlower, in Ice, and Amber to each vase. Spray in sweeping motions side to side, with light event coats, slightly overlapping each spray for the best results. Allow your piece to dry completely before handling. Placing white paper or tissue paper inside your glass piece while spraying allows you to see where you have already covered, so that you get a clean even surface.